SAP as we all know is the market leader the of e-business software solutions in the world. By virtue of using mySAP.com e-business platform, all around the globe the businesses are improving their relationships with their esteemed partners as well as customers. The application allows them to streamline their day to day operations, and also achieve a higher level of noteworthy efficiencies through their steady supply chains. In the current times SAP software is being effectively used in more 120 countries in more than 8,000 companies and has gone through almost 50,000 installations in over 50 countries with subsidiaries. SAP comes with an overall experience of more than 20 years in providing appropriate technology solutions to the petroleum industry. The company has developed solutions for retail, downstream as well as upstream function. The mySAP Oil & Gas application is essentially a part of the industry-specific solutions and aims at delivering extremely comprehensive tools and integrated business processes which eventually aims at helping companies in the petroleum industry collaborate. Finance: SAP believes in a simplistic approach and by utilizing SAP S/4HANA, which is a new next generation business suite, SAP Simple Finance aims at providing a common view for all the information across finance. This will enable the financial end in providing an instant insight and drive enterprise-wide strategic value. S AP has especially designed finance related solutions which revolve around financial planning and analysis, accounting and financial close, treasury and financial risk management, collaborative finance operations, travel management, invoice management, receivables management, and enterprise risk and compliance. Operational Integrity: SAP aims at providing a more holistic approach for risk analysis and governance solutions. This would enable the organization in mmonitoring and controlling enterprise risk at various levels. The companies would be better equipped to manage as well as control processes, increase governance, and even maximize the physical and informational security for enterprise operations with risk management solutions from SAP. The solutions provided by SAP will eventually help the managers in taking the right action much before incidents occur and also take up much higher risk-based decisions and would lead to the overall improvement of corporate governance by merging alerts as well as notifications with a continuous monitoring. This would allow the companies to better manage risk and thus balance the opportunity for guiding decisions and aligning them with policies and operating procedures. Hydrocarbon Supply chain: This is very much in the scope of SAP solutions and will help the companies in Optimizing their supply chain of hydrocarbon and distributing the drive real business value, reducing risks, and reducing the overall costs. By using the SAP solutions the companies will be able to achieve a more real-time visibility along with an insight into each step of the hydrocarbon supply chain and distribution processes. The companies will be able to better optimize inventory, reduce the costs for transportation besides the other services, and also reduce the overall risk. This would in turn lead to a better promotion of exposure management and optimization of the overall hydrocarbon supply and distribution chain. Commercial sales and marketing, convenience retailing, hydrocarbon supply distribution will also be better managed and controlled by using the SAP solutions. 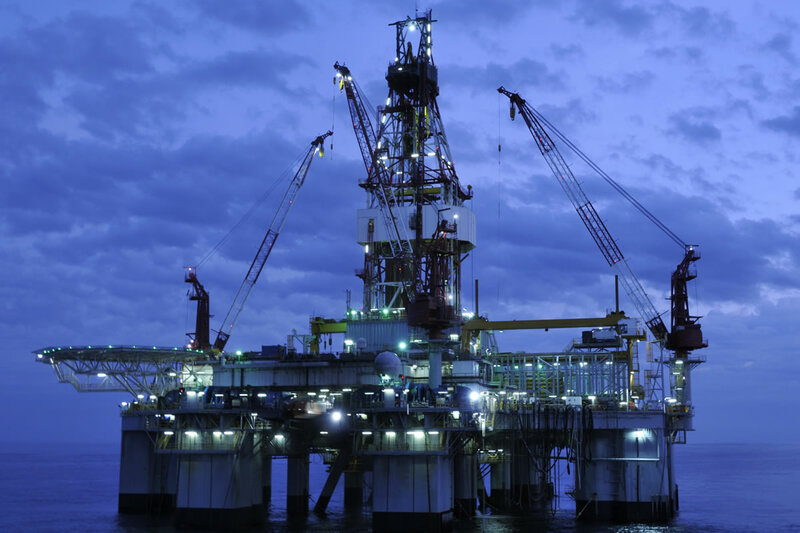 Capital and spend effectiveness: the SAP solutions will enable the oil and gas companies in managing their financial performance in controlling the overall costs and also in the execution of their strategy. By using the analysis and financial planning in SAP software will enable the companies in framing their plans accordingly as per the market response, better align their overall performance with organizational goals by cascading strategy, improving their forecast of the financials and modeling cost drivers. Companies will be able to correct variances against the key performance indicators in the initial stages and thus customize business flow for increasing the overall profitability of the organization. Enterprise content management: the SAP solutions will help the companies manage the critical content and documents with the help of the ECM software designed by SAP. The software will provide comprehensive and extensible solutions for the entire information lifecycle right from the document imaging and archiving to records and digital asset management which makes it very easy for companies to organizing, capturing and securing the important business-critical content, in a very seamless and effective manner. Besides the above the SAP solutions aims at developing a more effective approach in the fields of platform and technology, human resources and integrated digital oilfield operations. By using the effective SAP solutions the oil and gas companies will be able to provide a much more reliable access for all energy related sources which will drive world economic growth and also increase the overall standard of living. This will be made possible by optimizing the overall capital spend, which also leads to a maximization return on assets, improves the overall levels of profitability, and also drives ahead the operations while operating in a safe manner, develops the talent effectively and also transforms the model of business. -44% of unplanned downtime has been recorded for companies which helps them in adopting a much more predictive and preventive approach. -27% of the total spend in transport where a chain performance dashboard has been made available for all the users. Royal Dutch Shell: SAP has successfully entered into a five year long contract with Royal Dutch Shell, for designing and coming up with very innovative ideas for the oil and gas leader. BP : British petroleum is today known as the one of leading energycompanies in the world. The company has their wide spread network in more than 80 countries. The company is keen to use the various SAP solutions to their advantage and expand their horizon. Saudi Aramco: this is known as theworld’s largest enterprise software company. The company intends to use the SAP solutions for developing localized solutions for Saudi Arabia which will allow the company in acquiring a new competitive edge. For newcomers and who has a sound experience in the following SAP modules oil and gas industry is a good career choice.